Our 2019 Kissing Crane Celtic Trapper Pocket Knife celebrates your Irish heritage and it makes a great collectible pocket knife. 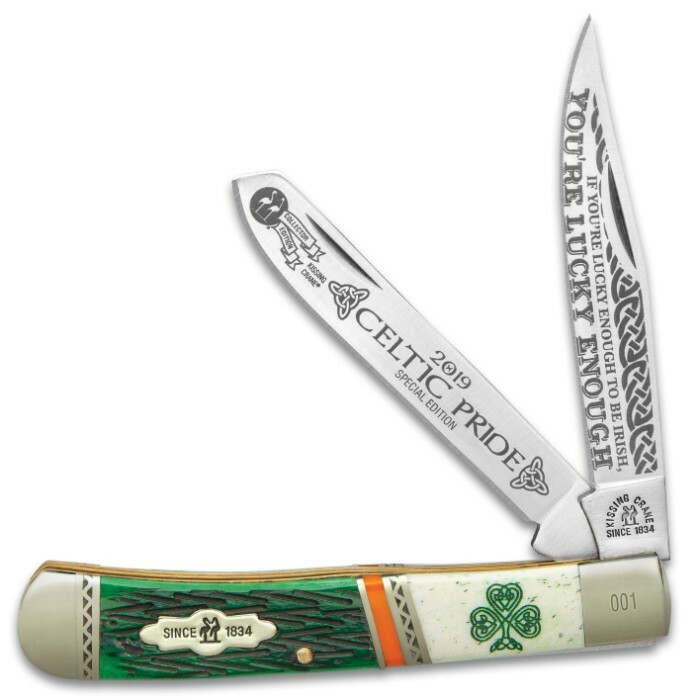 This limited edition pocket knife has razor-sharp stainless steel blades featuring the message, “Celtic Pride” and “If You’re Lucky Enough To Be Irish, You’re Lucky Enough”. 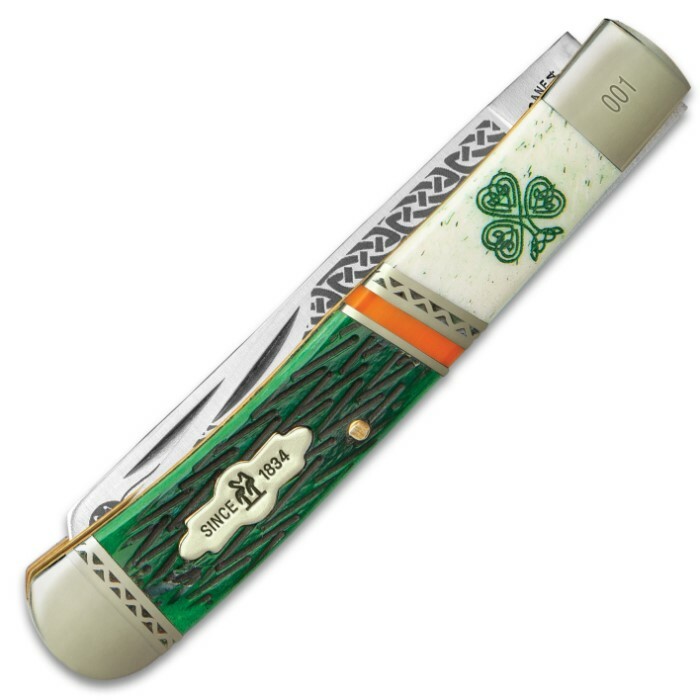 The handsome handle is of genuine green jigged bone with dark yellow and brass accents and it features a shamrock on a white background. Brass-plated pins, nickel silvers bolsters and the classic Kissing Crane cast shield complete this exquisite design. 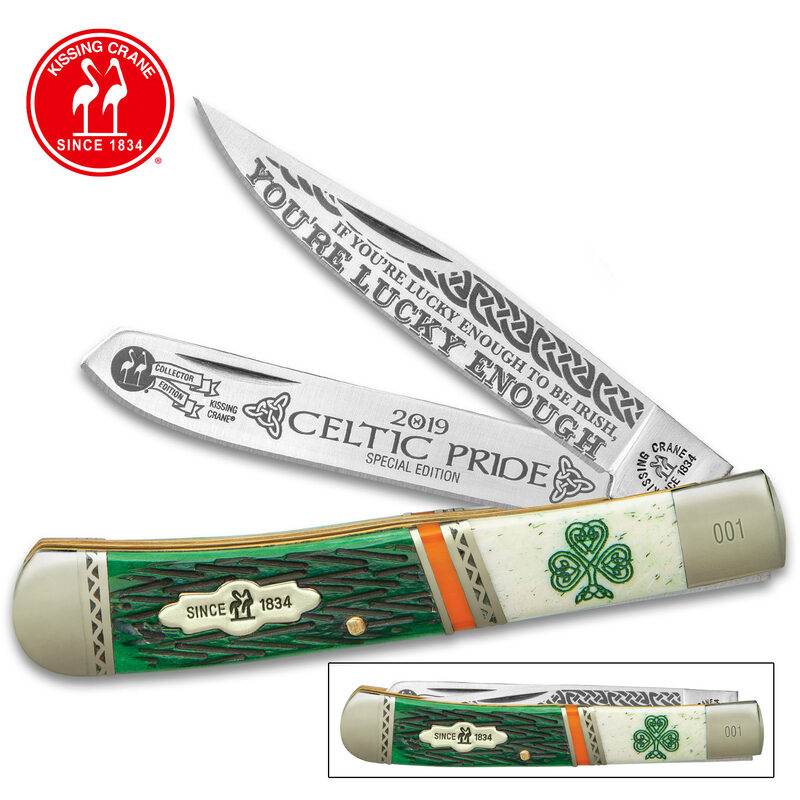 Each one is laser serialized on the bolster. Well made and sharp. Ended up buying two of them.